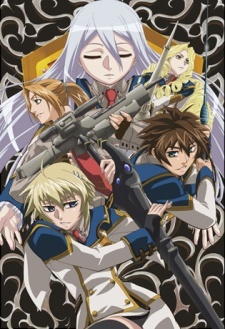 Here are my favorite picks for anime like Chrome Shelled Regios. Keep in mind the list is in no particular order. Enjoy! Ryner Lute is a lazy student of the Roland Empire Royal Magician’s Academy. One day, the Roland Empire goes to war against their neighboring country Estabul, and Ryner loses his classmates in the war. After the war, Ryner sets out on a journey to search the relics of a “Legendary Hero” at King Sion Astal’s command and finds out that a deadly curse is spreading throughout the continent. Barsburg Empire’s Military Academy is known for training elites who bring victory to the empire. 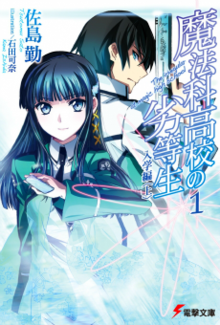 Students of the academy freely utilize an ability called “Zaiphon” to fight, while the types of Zaiphon usable depends on the nature of the soldier. The story is set in a world where humanity, driven off the land by the threat of magical armored insects, now live in aerial floating cities. Thus wizards—aerial combat mages who fight the insects with magical powers—came into being. Kanata Age is a young man who lives on the floating wizard academy city of “Misutogan.” He was once celebrated as the “Black Master Swordsman,” the elite ace of the S128 special team; however, he is now despised as the “traitor of the special team.” One day, he is assigned as the instructor of E601, a team that has suffered ten consecutive defeats. 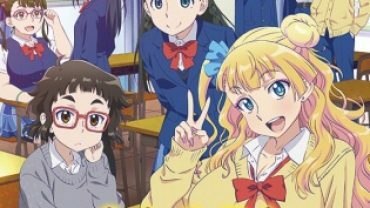 E601 has three girls—Misora Whitale, Lecty Eisenach, and Rico Flamel—with one or two peculiar quirks. Unable to fight a pandemic enemy that turns defenders into adversaries, the shocked remnants of the human race are forced to retreat into cities surrounded by giant monoliths made of Varanium, one of the few materials that can stop the Gastrea. Now mankind’s last hope lies in the Cursed Children: young girls infected with the virus who have managed to retain a hold on their humanity. Paired with a partner, they alone have the strength to take on a Gastrea in one-on-one combat.